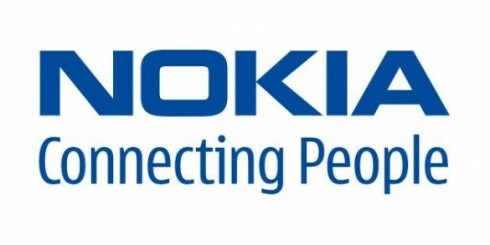 Nokia Corporation (ADR) (NYSE:NOK) was in 12 hedge funds’ portfolio at the end of the fourth quarter of 2012. NOK investors should be aware of a decrease in enthusiasm from smart money lately. There were 15 hedge funds in our database with NOK holdings at the end of the previous quarter. In the eyes of most shareholders, hedge funds are perceived as unimportant, outdated investment tools of yesteryear. While there are over 8000 funds in operation today, we at Insider Monkey choose to focus on the crème de la crème of this club, around 450 funds. It is widely believed that this group has its hands on most of all hedge funds’ total capital, and by watching their top picks, we have identified a few investment strategies that have historically outstripped the broader indices. Our small-cap hedge fund strategy outstripped the S&P 500 index by 18 percentage points a year for a decade in our back tests, and since we’ve started sharing our picks with our subscribers at the end of August 2012, we have beaten the S&P 500 index by 24 percentage points in 7 months (see the details here). Equally as integral, positive insider trading activity is another way to parse down the world of equities. As the old adage goes: there are a number of reasons for an insider to drop shares of his or her company, but only one, very obvious reason why they would behave bullishly. Several empirical studies have demonstrated the valuable potential of this tactic if “monkeys” know what to do (learn more here). Now, it’s important to take a gander at the latest action regarding Nokia Corporation (ADR) (NYSE:NOK). Heading into 2013, a total of 12 of the hedge funds we track were bullish in this stock, a change of -20% from the previous quarter. With hedge funds’ positions undergoing their usual ebb and flow, there exists a few key hedge fund managers who were boosting their stakes significantly. According to our comprehensive database, Arrowstreet Capital, managed by Peter Rathjens, Bruce Clarke and John Campbell, holds the biggest position in Nokia Corporation (ADR) (NYSE:NOK). Arrowstreet Capital has a $48.4 million position in the stock, comprising 0.2% of its 13F portfolio. The second largest stake is held by Chou Associates Management, managed by Francis Chou, which held a $19.8 million position; the fund has 5.2% of its 13F portfolio invested in the stock. Remaining hedgies that hold long positions include Philippe Laffont’s Coatue Management, D. E. Shaw’s D E Shaw and Ken Griffin’s Citadel Investment Group. Judging by the fact that Nokia Corporation (ADR) (NYSE:NOK) has experienced a declination in interest from the smart money, logic holds that there lies a certain “tier” of hedge funds that slashed their entire stakes at the end of the year. It’s worth mentioning that Guru Ramakrishnan’s Meru Capital dumped the largest position of all the hedgies we track, worth an estimated $1.5 million in stock.. Himanshu H. Shah’s fund, Shah Capital Management, also dropped its stock, about $0.8 million worth. These bearish behaviors are important to note, as aggregate hedge fund interest fell by 3 funds at the end of the year. How are insiders trading Nokia Corporation (ADR) (NYSE:NOK)? Insider trading activity, especially when it’s bullish, is best served when the primary stock in question has experienced transactions within the past half-year. Over the last six-month time frame, Nokia Corporation (ADR) (NYSE:NOK) has experienced zero unique insiders buying, and zero insider sales (see the details of insider trades here). Let’s also examine hedge fund and insider activity in other stocks similar to Nokia Corporation (ADR) (NYSE:NOK). These stocks are JDS Uniphase Corp (NASDAQ:JDSU), Echostar Corporation (NASDAQ:SATS), Ericsson (ADR) (NASDAQ:ERIC), Harris Corporation (NYSE:HRS), and Motorola Solutions Inc (NYSE:MSI). This group of stocks are the members of the communication equipment industry and their market caps match NOK’s market cap.